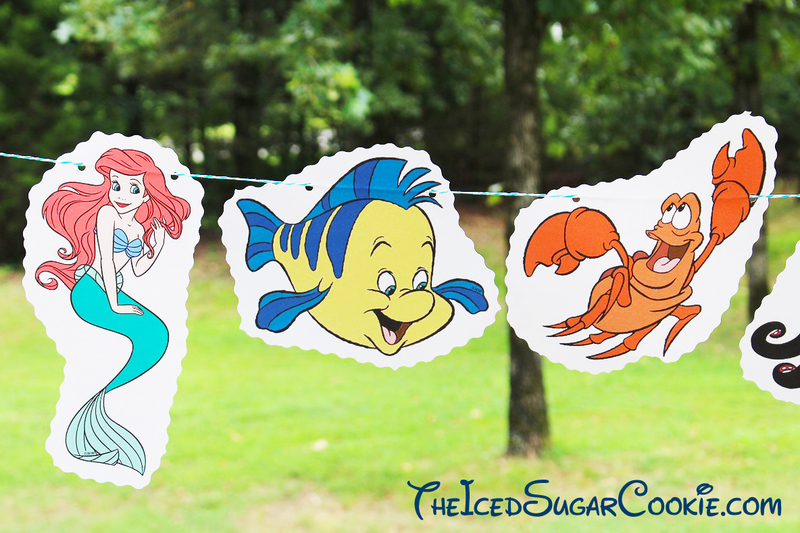 If your throwing a Little Mermaid birthday party then try making one of these banners just like I did. I found the little mermaid cartoon clipart images of Ariel, Flounder, Sebastian, Ursula and King Triton at disneyclips.com and printed it off on white card stock. 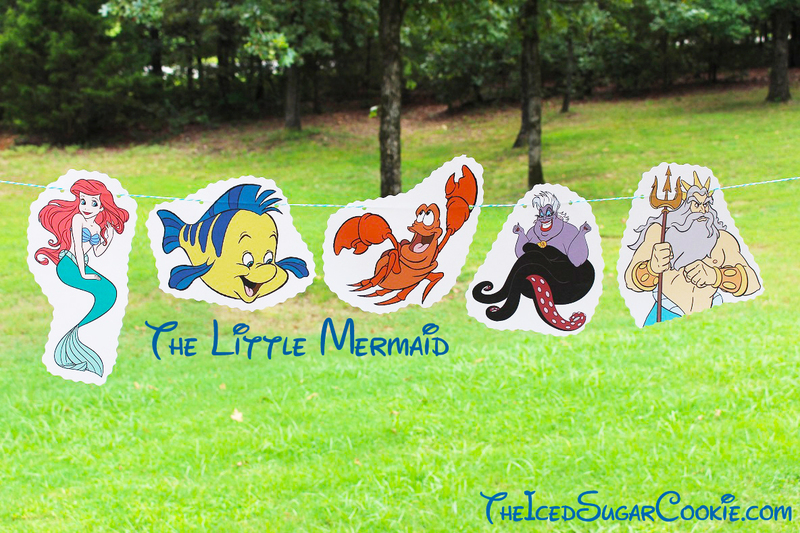 Then I used decorative cutting scissors to cut them out and punched two holes in each image. I run some raffia cord string through it and hung it up. 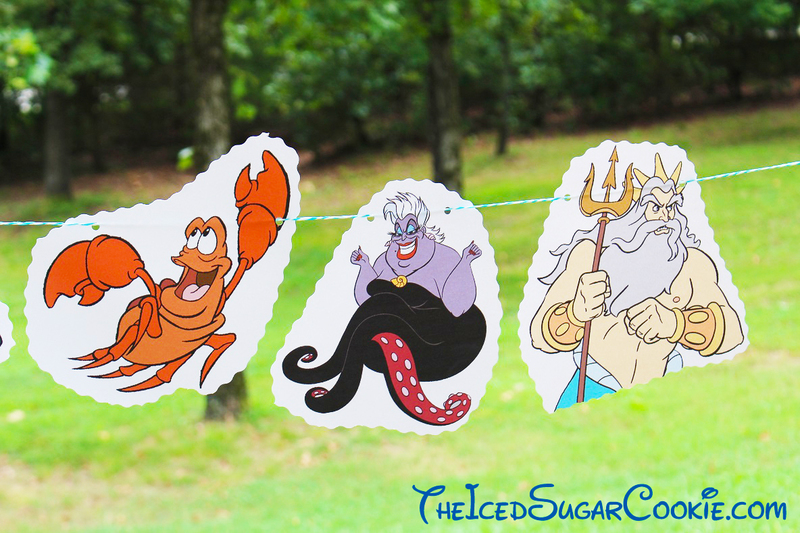 This would look great with The Little Mermaid birthday party.